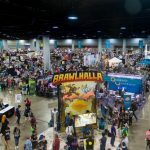 Esports are a major part of DreamHack Atlanta this year, and there are a combined $800,000 in cash prizes that will be awarded by the end of the weekend at the Georgia World Congress Center. There are 11 official tournaments at DreamHack this year, along with several amateur tournaments and LAN parties for attendees. Can’t make it Atlanta? Watch all of the action on DreamHack TV, and keep checking in with Esports Source – we’ll producing content from the show floor all weekend long. Still coming down off of the high that was EVO 2017, Super Smash Bros Melee and Super Smash Bros for Wii U players will be competing for a combined $20,000 in prizes at DreamHack. Big names like Liquid Hungrybox, Mew2King, and SFAT have all registered for the Melee tournament, while on the Wii U side, ZeRo will be looking for redemption after a heartbreaking loss at EVO 2017, but he’ll have to get through top players like Nairo, Ally, Larry Lurr and Fatality along the way. Singles Pools begin Saturday 10 am pool begins. Some of the finest in the Dota 2 scene will be competing in the DreamLeague playoffs this year. 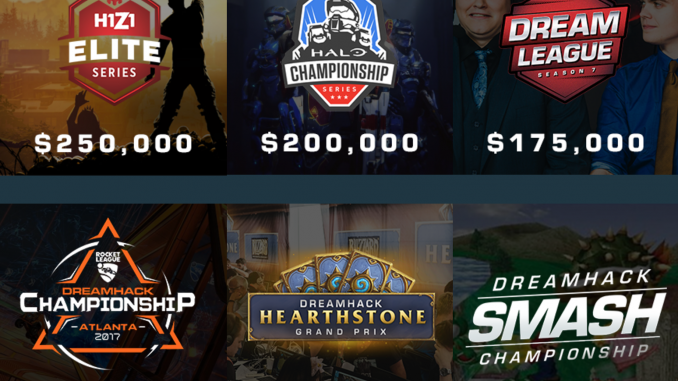 Team Secret, Team Liquid, Vega Squadron, and Planet Odd are competing for the $80,000 grand prize this year ($175,000 in total prizing). The playoffs will run from July 21-22, and it will be a double elimination best of three games format. The Grand Final will be a best of five. For schedule and more information about the League play please visit the Official DreamLeague website. The regular season is over, and now the top six Halo 5: Guardians teams from North America and the top four teams from Europe will compete for a share of the $200,000 dollar prize pool at DreamHack Atlanta. The event is also an Open event, so amateur players will play in an Open Bracket to attempt to make it to the Championship Bracket and compete for the grand prize. Register your team for the Open Bracket here. 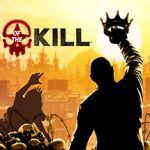 There will be two H1Z1: King of the Kill tournaments at DreamHack Atlanta this weekend – one for five-player teams and one for solo players – with a combined prize pool of $250,000. The tournaments mark the first stop in the Elite Series, H1Z1’s global esports circuit. 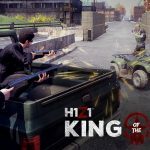 H1Z1 will be the largest esports event at DreamHack Atlanta in terms of both participants and prizing. 24 teams of five will compete in the qualifiers, including well known organizations like Echo Fox, Team Kaliber, Panda Gaming, Noble, Epsilon, and SoaR Gaming. The top seven teams from the qualifiers will join top finishers from Fight for the Crown (Counter Logic Gaming, Obey Alliance, Denial esports, World Best Gaming, and Luminosity Gaming) in the finals to compete for their share of $150,000. 120 players in solo qualifiers will battle it out for their spot in the finals. The 40 best-performing players will join the 20 pre-selected individuals in the solo tournament finals to fight for their share of $100,000. Participants hail from more than 13 countries, including the United States, Canada, China, Denmark, France, Belgium, Sweden, Korea, Japan, Turkey, Brazil, Norway, and Australia. 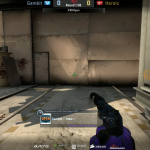 Primarily an event for amateur CS:GO players and teams, the Astro Open tournament will celebrate its sixth year at DreamHack. The tournament consists of eight well known teams competing in a double elimination group stage. The top two teams move on to the single elimination bracket playoffs where they’ll compete for Top 4 and the lion’s share of the $100,000 prize pool. 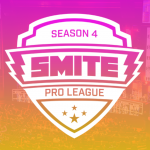 Six of the teams competing are invitees and the remaining two teams each come from the NA and EU qualifiers. The tournament begins on Friday July 21st, and runs through Sunday the 23rd. DreamHack is hosting a $50,000 Rocket League tournament at their Atlanta event, and it’s open to anyone who wants to test their skills. All of the matches will be on Twitch as well, so some unknown talents (including our own Producer Dave who is competing) may shine at this tournament. All matches will be 3v3 and played on PC with DreamHack providing the computers, stage, and hype. The event is a major open Swiss Open tournament with a minimum of 200 competitor slots. The top 16 players move on to a single elimination stage to compete for $25,000. Players who don’t make top 16 have another chance at glory as they compete in side events for a $1,500 prize pool. It’s been a big year for SFV, as interest from big tournament organizers has lead to a number of major events with much larger prize pools than seen in previous years. 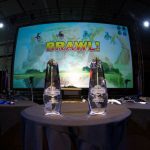 At DreamHack, the prize pool is still just $5,000 for the Open tournament and the players registered for the event are primarily local (from the southeastern United States). Singles Pools begin Saturday 2 pm. Singles Pools begin Saturday 10 am. Singles Pools begin Saturday 4 pm.